The Swiss watch industry is in an interesting condition. It is now dominated by the Swatch group, who not only manufacture the eponymous plastic watches, but also own many distinctive high end luxury watch brands; Rado, Blancpain, Hamilton, Longines, Omega, Tiffany & Co, Tissot and Breguet. 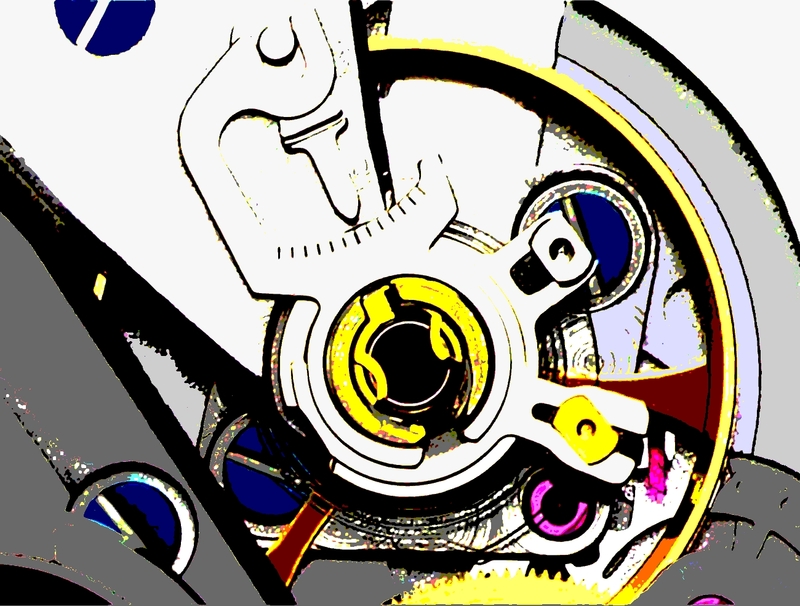 In addition Swatch owns ETA (ETA SA Manufacture Horlogère Suisse) who make watches, watch movements and ébauches. Through a series of mergers of previously independent mechanism manufacturers (e.g. Unitas, Valjoux, Peseux and Lemania), ETA has become the largest manufacturer of Swiss watch movements and controls a virtual monopoly over their production and supply. Here is an interesting article in the New York Times that describes a move being made by Swatch to STOP supplying movements to the many, many watch manufacturers, Swiss and otherwise, who are using ETA (i.e. Swatch) movements. More background on the history of the Swiss watch industry and Swatch HERE. Perhaps less well known than the Swiss watch industry is a very high quality tradition of mechanical watchmaking in Germany, this includes brands such as A. Lange & Söhne, Glashütte Original and Wempe and lesser know brands Nomos, Sinn, Stowa and Mühle. Many of these companies have had an interesting recent history after the re-unification of East and West Germany. Some of them are owned by Swatch (Glashütte Original, Union Glashütte) or have watches based on either plain or modified ETA movements e.g. Stowa. One interesting development from the Swatch/ETA story is the Sellita company, who publish very detailed technical diagrams and specifications of their movements which are very similar to the ETA movements, to the extent that Sellita spare parts will fit in the ETA mechanisms. There is a history of pretty good quality mechanical watch mechanism manufacture in China - in particular the Sea Gull brand (who make about 25% of worlds mechanical watch movements).